Silver Sea Cruise – an American based Cruise Company has sent their “Silver Discoverer” cruise ship to Bangladesh Territory. It is the first time ever that a cruise ship has entered Bangladesh. The cruise ship entered Bangladesh, on 22-24 February, 2017 and again on 1-3 March, 2017. The cruise ship “Silver Discoverer” started its journey from Colombo, Sri Lanka on 11 February, 2017, visited Andaman and entered Bangladesh on 22nd February at Maheshkhali Island, Cox`s bazar. The first group comprised of 95 passengers from 13 different countries (of which 42 American, 24 British, 07 Australian, 06 Canadian, other European nationals).The International tourists on board the Silver Discoverer came ashore and divided into two groups and visited the main tourist attractions of Maheshkhali. They visited Adinath temple which is a Buddhist temple and also some handicraft shops. 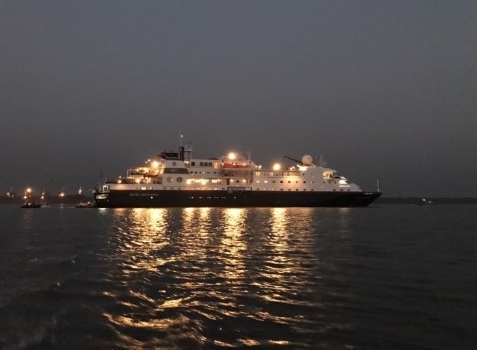 On 23rd and 24th of February it gave its passengers the opportunity to see the world’s largest mangrove forest “Sundarbans” in Bangladesh and then headed for Calcutta, India. 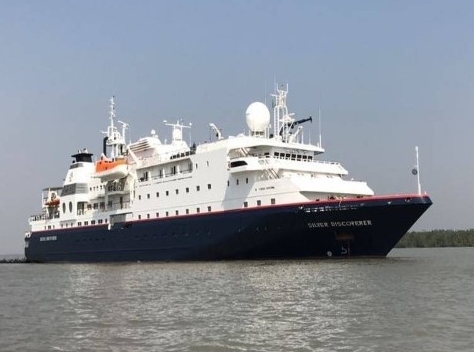 “Silver Discoverer” on its reverse journey again entered Bangladesh on 1st March and it included 67 passengers from 10 different countries (of which 24 American, 16 British, 10 Australian, 05 Canadian, other European nationals and touched the same spots and left for Phuket, Thailand via Yangon, Myanmar on 3rd March. Journey Plus reported that Bangladesh benefited financially by Taka 35 Lakhs through various spending by the tourists on board the cruise ship as it sailed through Bangladeshi waters. Journey Plus is the “Official Ground Handling Agent” of Silver Sea in Bangladesh.